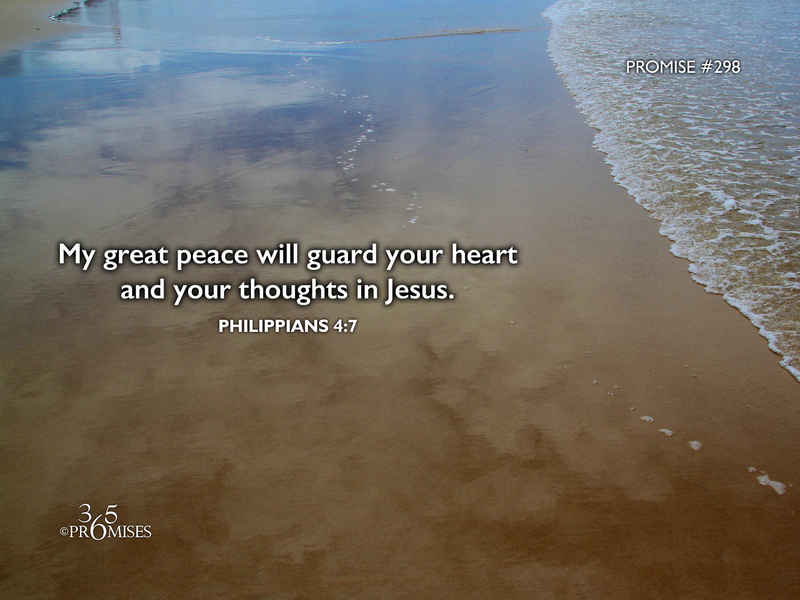 My great peace will guard your heart and thoughts in Jesus. will guard your hearts and your thoughts in Christ Jesus. Jesus has already secured God's peace for you. This peace cannot be grasped with a human understanding, but can only be received by faith in Jesus Christ. I pray that the overwhelming peace of God will rest upon you today and provide the protection that your heart and mind needs to live at peace, even in the midst of life's storms.